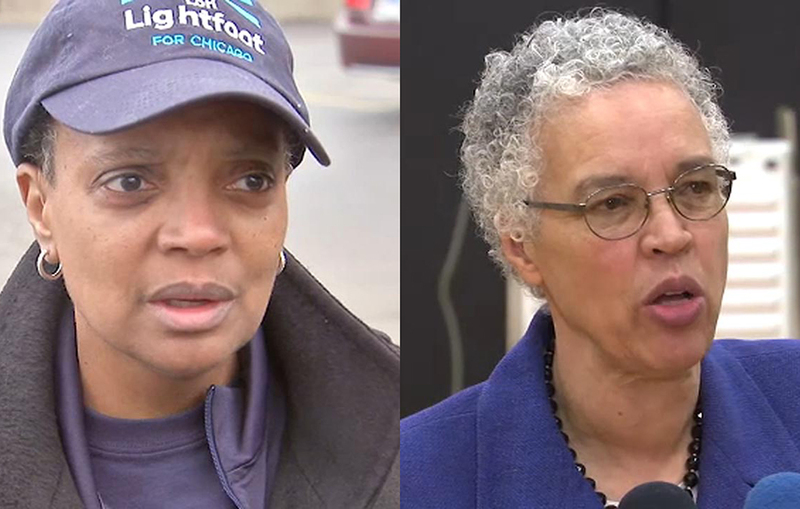 Chicago voters will make history Tuesday when they head to the polls and pick either former federal prosecutor Lori Lightfoot or Cook County Board President Toni Preckwinkle to become the city’s 56th mayor. No matter the result of the runoff election, Chicago will elect for the first time an African-American female to occupy City Hall’s fifth floor. If Lightfoot wins, Chicago also would become the largest U.S. city ever to elect an openly gay mayor. Both candidates repeatedly have acknowledged the historic nature of the campaign since emerging as the top two vote-getters among a record field of 14 candidates in February’s first-round election. Voters here have not elected an African-American mayor since Harold Washington won re-election in 1987 before dying in office later that year. The city also only has elected one woman as mayor, Jane Byrne, who held the office for one term from 1979 until 1983. While a five-week campaign between two African-American women to become mayor is unprecedented, the race has been defined more by the two contenders trading barbs over whether Lightfoot’s mantra of change or Preckwinkle’s argument for experience suits the city best. Lightfoot, a first-time candidate for public office, has said Chicagoans’ desire to break free from the city’s history of machine politics outweighs talk of political resumes. Both candidates spent Monday scurrying around the city and encouraging voters to fulfill their civic duty amid mounting concerns about low voter turnout.